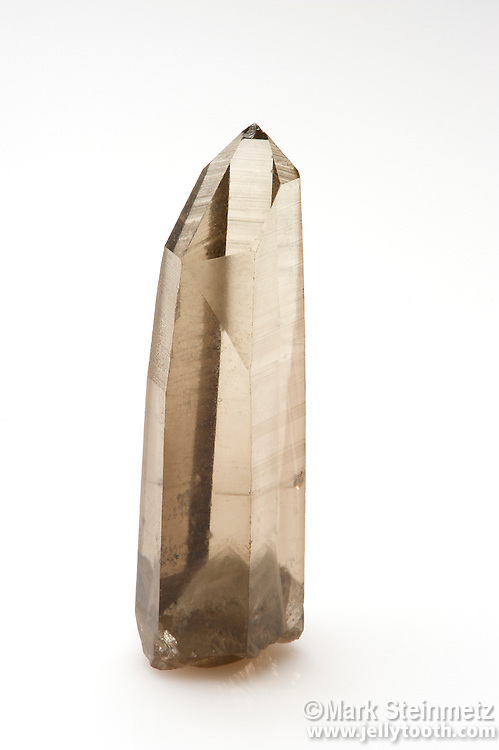 Smoky Quartz with phantom at base, Minas Gerais, Brazil. A phantom is a quartz crystal which grows over an earlier crystal, usually due to a change in growth conditions causing a stoppage or interruption. The original crystal may have had deposition of fine-grained mineral matter, micro-bubbles, or even rock dust collect on its face during the interruptive period. Such inclusions further highlight the phantom.